The mother of fallen Navy SEAL, Aaron Vaughn, is collecting stories from the men and women returning from, or still on, the front lines. Karen Vaughn is collecting these stories to provide a voice for those who cannot speak for themselves. Please read the deeply moving letter below from Karen Vaughn, whose son, Aaron, was killed last year in Afghanistan, along with 16 of his fellow elite Navy SEALs in the deadliest single loss for U.S. forces in Afghanistan. It is a letter that should be read and shared by every American who enjoys the security and freedom our soldiers protect every day. Today, like every day, I miss my son. I miss his laughter. I miss his smile. I miss his sense of humor and impeccable timing. I miss our conversations. I miss his passion and intensity. I miss the way he could go from zero to one hundred when someone spoke an improper word about something important to him. I miss his crazy driving and most of all I miss his heart, which was so overflowing with love and compassion. I also miss what will never be. I miss the fact that one day his daughter will walk down the aisle and he won’t be there. I miss, on Reagan’s behalf, that his daddy will never watch him score a touchdown, learn to drive a car, or fall in love. I miss that Kimberly will never again be able to share the amazing joys that only parents understand…. “Reagan learned to tie his shoe today,” or “Chamberlyn rode the bike without training wheels.” I especially miss all the Christmas mornings for the rest of their childhoods when they run down the stairs, but daddy is not there. I miss what would have been….family vacations, memories, laughter, pictures, love. I miss that my daughters will have to bury Billy and I one day and their big, strong, larger-than-life brother won’t be there to walk beside them and help them through. Today I attended the funeral of another fallen special forces operator. As I listened to his family and teammates describe this amazing man, I couldn’t help but think: “Why is it always the men like him who fall?” The great ones who walk among us who were “too good for this world” according to Hebrews 11:38. And then I realized; only the greatest among us would storm the gates of hell for the undeserving; the pot-smoking punk still living in his parent’s basement, the disrespectful teen who can’t be bothered to pull his pants up or answer with a “yes sir” or “no ma’m, the “occupier” who cries on the street for justice but rapes the woman protesting beside him, the list goes on…. My name is Cheryl Sitton and my son, SSG Matthew Sitton, was KIA on 02 August 2012. 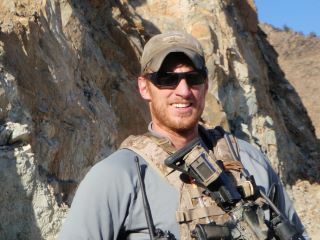 On 04 June 2012 he wrote an email to Congressman Bill Young seeking support and help in reference to the senseless and deadly missions he was required to put his men through. He told of how they were required to perform foot patrols in empty compounds and grape rows littered with IED’s just to meet a set mandate of a certain number of patrols for a certain amount of time. He shared how they had to patrol in urine and feces soaked uniforms just to meet this mandate. And all with no end state in mind. Congressman Young took Matt’s letter to the Pentagon for it only to fall on deaf ears. Two months later my son and his 1st Sgt Russell Bell were killed in the exact way Matt had warned and feared for his men. There’s more, but as I read this first portion, I felt like I could literally vomit. I want to scream. I want to hit the pause button and fight for these men until someone listens! Please, for the love of God…. listen! And ACT! Here’s my point. It’s NEVER been about parties to this family. It’s about HUMAN BEINGS who are being sacrificed on the alter of narcissism and idiotic ideology where we call evil good and good evil! These great men (and great women) are fighting for and dying for …US. It has become glaringly clear to me that our high ranking military officials have no plans to defend those great patriots whose faces are actually marred by war. They’re far too busy securing their mortgages and pompous life styles to risk anything in order to fulfill the oath they took when they strapped up their boots for the very first time. And this administration? Pure, unadulterated evil. Cover-ups, scandals, finger-pointing, football-spiking, lying, apologizing, throwing each other under the bus, and most importantly, risking our nation as we know it by REFUSING TO ACKNOWLEDGE OUR ENEMY. As my husband first said, and now I’ve repeated many times as I speak across the states….On September 11, 2001, our government was helpless to stop any one of the four attacks on our soil. BUT, on flight 93, a group of American citizens counted the cost, answered the call, stood up, gave ALL, and changed the history of this nation. Billy & I have rolled a snowball. It needs to become an avalanche and we need your help. We’d like to collect as many stories as possible from the men and women returning from or still on the front lines who aren’t able to speak for themselves. Please post the stories here, using anonymity where necessary. Please don’t use names unless the soldier is deceased, having nothing more to lose. America needs to know what’s happening to our defenders. They deserve a voice. UPDATE: (By Jim) As you may recall, I interviewed Karen Vaughn, mother of fallen Navy Seal of Aaron Carson Vaughn, in Tampa in August. Karen was visibly upset about Barack Obama’s campaign ad “One Chance.” Karen and Billy Vaughn lost their son Aaron last year in Afghanistan. Thank you Karen and Billy Vaughn for your heroism and sacrifice.